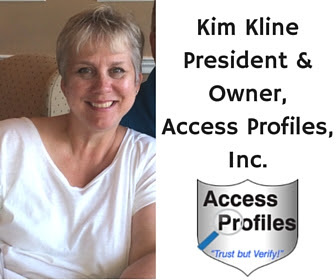 Access Profiles, Inc.: Hiring an Intern? Don’t Skip the Background Check! Hiring an Intern? Don’t Skip the Background Check! It is once again that time of year when many college students are focused on finding that perfect internship. They are searching for one that will give them the “real work experience” they need and test the skills they have worked so hard to attain. They know that an internship can be a valuable learning experience and a way to get their foot in the door to their chosen field. Most have never worked in a professional environment and believe an internship will teach them the ins and outs. great benefits from hiring interns. Internships are currently being debated. The question revolves around whether, under current labor laws, interns should be paid. Recent lawsuits have been decided on the side of the interns and many believe this could result in a decrease of internship programs. 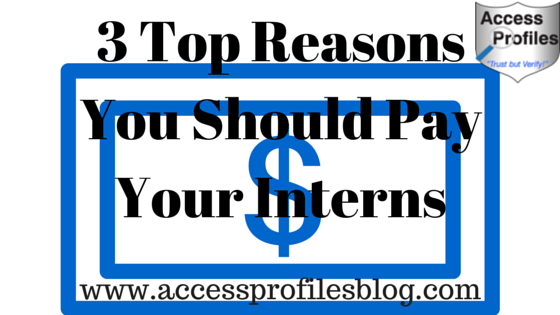 Discover 3 Reasons Why You Should be Paying Your Interns here! Despite this controversy, companies would do well to continue using interns. Not only is it a great way of gaining the valuable talents of new hires without a long term commitment, it is also an opportunity to “pay it forward” to the next generation of young professionals. is not without some risk. Employers usually minimize this risk by running background checks on their applicants. When it comes to interns, however, many don’t utilize this resource. Hiring an Intern? Be Safe & Don't Skip the Background Check! "Tweet This"
Since interns are, by nature, part-time hires, employers question whether investing time and money into screening them is necessary. To determine that, it is best to take a look at what your intern will be doing during their time with your company and fit the background check to the job!! Do they have access to proprietary or sensitive client information?Will they handle company funds or other valuable assets? Do they come in contact with children, the elderly, or other vulnerable individuals? If the answer to any of these questions is yes, then screening potential interns is wise. In these cases, you should at the minimum run a criminal history check. Finding out if your potential intern has been convicted of violent crimes or theft is crucial. In addition, if a certain level of skill is necessary to complete their duties, then verifying that skill is also in your best interest. 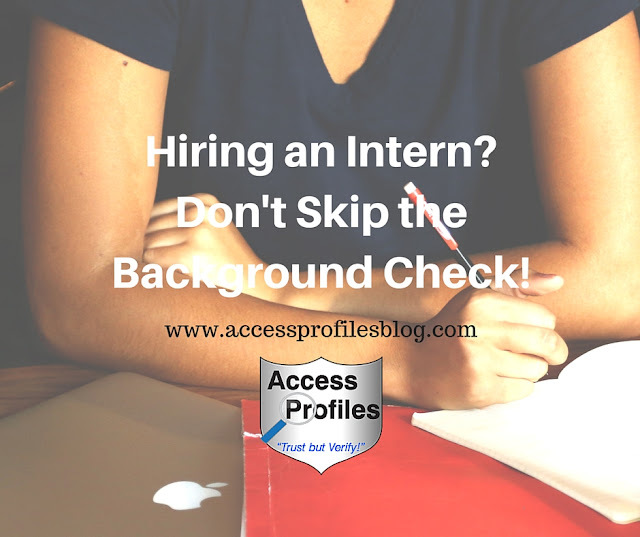 However, if your internship largely consists of shadowing existing employees or acting mainly as a “mentee”, then running a background check becomes more discretionary. What employers need to keep in mind is that as with any hire, protecting your company, your employees, and your customers must come first. Using a background check as a tool to that end is always in a company’s best interest, even if it is on temporary employee. background checks are designed to give you peace of mind. to put it at risk. Please "Pay it Forward" and Share this. Leave a Comment too. I would love to hear from You! Thanks! Find out more About Us and our Hiring, Business Mentoring, and Security Consulting Services too! Most definitely Albina! I think the more you know about a perspective employee, the better (and that means interns and seasonal hires too!). As long as we stay compliant with local, state, and federal hiring laws, it is irresponsible not to screen. Thanks for your comment and for taking the time to read my article. It is greatly appreciated! You are right Awais. 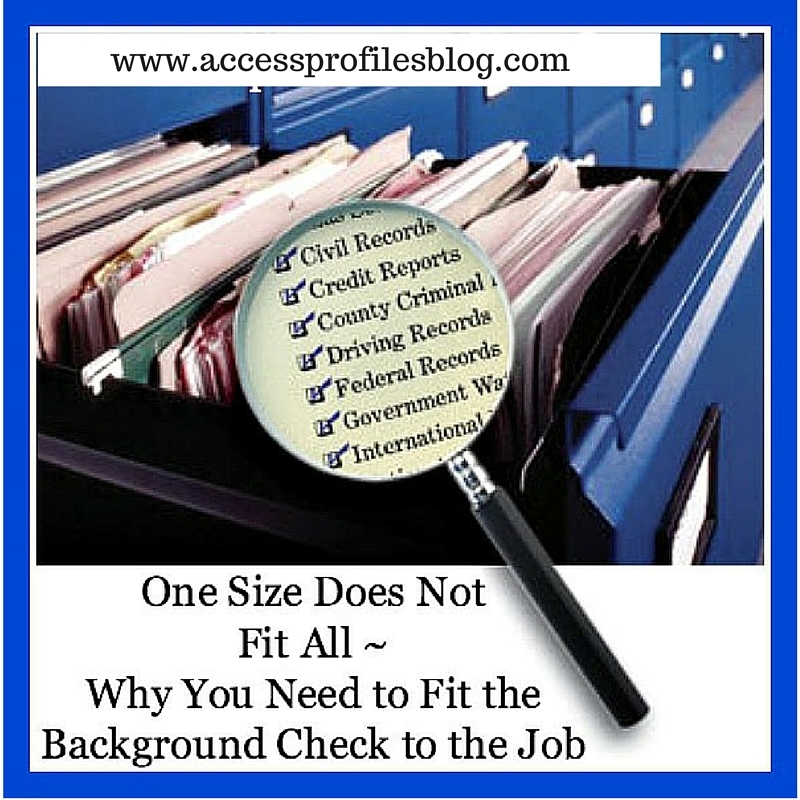 More and more companies are recognizing the need to do at least some sort of background check on their applicants. And I do like your term "historical backdrop" because a background check is so much more than just a criminal check. It truly is a "picture" of a person's past. Thanks so much for leaving a comment! Background reports are documents generated from a background check, an investigation into the personal data, character and qualifications of an individual. Good analysis of what a background check entails Mueeid!